Rent a Dumpster in New Jersey | Montella, Inc.
Montella, Inc. is New Jersey’s go-to for dumpster rentals. With everything you’ll ever need from New Jersey waste management to dumpster rentals and pickup, we have what you’re looking for. Our passion is our goal, and that is to keep New Jersey clean through our proper waste disposal. 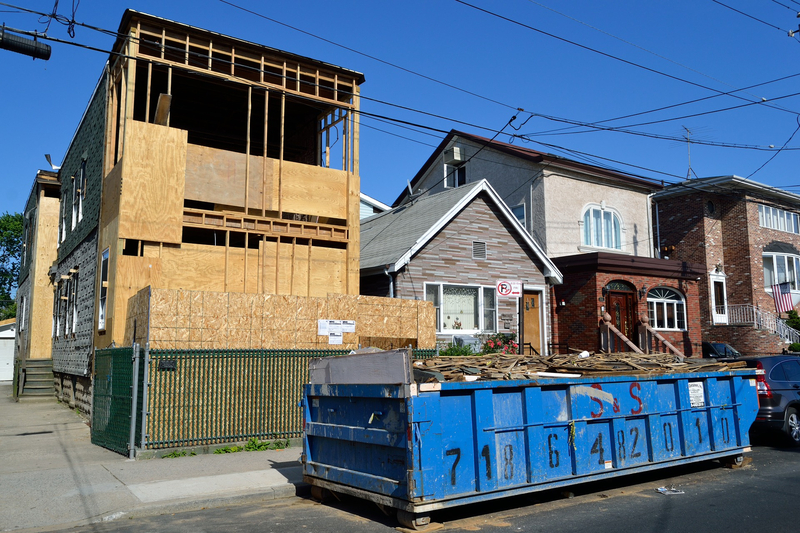 Here’s how to rent a dumpster in NJ, through Montella, Inc. In 2010, New Jersey produced around 22 million tons of waste. That’s about 5,000 lbs per person! On top of that, we recycled 13.3 million tons, which is around 60% of the amount generated. Those numbers are reflective the work that Montella, Inc. puts out. As we continue to keep New Jersey clean, we urge you to do the same—rent a dumpster in NJ from us and you can do your part in properly disposing of waste. There’s a lot you can do with our dumpster rentals. From construction waste to scrap metal recycling, these dumpsters are durable and versatile. They also come in a few different sizes that fit different situations. For example, we have ten cubic yard dumpsters, which are perfect for smaller cleanup jobs and junk removal. A good project for a dumpster rental of this size would be a house or garage clean out. Then we have the 20 cubic yard dumpsters, which are perfect for demolition and construction projects, new kitchens, and larger house clean outs. The 30 cubic yard dumpster is usually used for cleaning your home or garage of large furniture items and things that normally won’t be able to fit into the other dumpster containers. Finally, you would use a four cubic yard dumpster for large projects, such as demolition and construction of entire homes or buildings. Businesses often use this size of dumpster for all their waste output. Rent a Dumpster in NJ with Montella, Inc! If you’re wondering how much does it cost to rent a dumpster, then check out our dumpster rental Morris county NJ page or call us at (973) 927-2232.